Purchased as a foal, she was always an attractive filly – strong, good bone and a lovely mover. She comes from an excellent family. 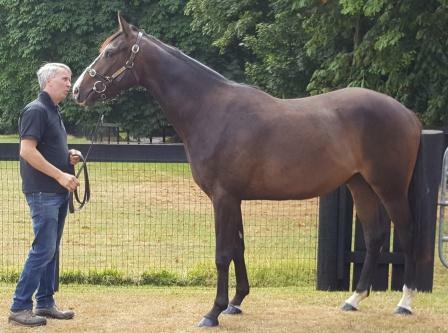 All her siblings are in the same mould, a half sister to Reine de Whitfield in training with Willie Mullins, a full brother sold for £85,000 as a 3-y-o and a half sister who made £50,000 also as a 3-y-o. She is trained by Harry Fry. 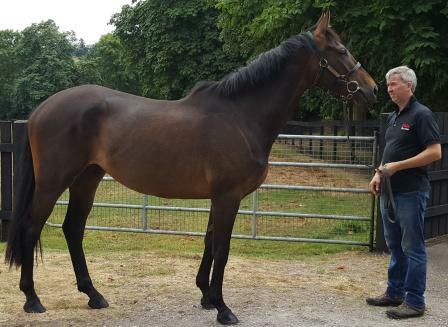 She is a half sister to the impressive Pires in training with Tony Martin in Ireland, a winner of 9 races and over £166k prize money, and also a half sister to 7-y-o Royal Player, in training with Philip Hobbs, who has achieved 4 wins from 10 runs and over £35k in prize money. It is a solid pedigree and I was impressed with the black type achieved by the family. She is trained by Colin Tizzard who thinks highly of her. He has given her plenty of time to mature and this is now paying off with three wins from her last five runs over hurdles. She appears to act on any ground and should find plenty of winning opportunities this season. She is trained by Colin Tizzard. Dilson is the first foal of our talented mare Diligent who won two bumpers for us trained by Donald McCain. Sadly she then fractured her pelvis on the gallops and could not race again. This gelding is by Sholokhov who was a Grade I winner on the flat over a mile and started his stallion duties in Germany covering mainly flat bred mares. Coolmore moved him to Ireland in 2013 as a National Hunt sire and he is starting to have plenty of winners, with Don Cossack the 2016 Cheltenham Gold Cup winner his outstanding horse to date. The stallion is now proving very popular with NH trainers and last year his progeny sold for up to £175,000. Nick Williams likes Dilson a lot and he should have a very exciting future. He finished 4th in his first hurdle race and we are delighted with his progress. If he continues to develop as we expect and shows his father's speed and his mother's determination then we will have a seriously exciting horse in our stable! 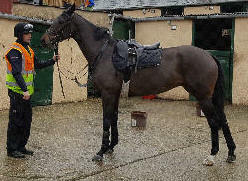 A very nice 3-y-o bay gelding, first foal of Carrigtohilljewel. He comes from a good old fashioned chasing family and I acquired him as a foal because I liked the look of him and I owned one from the same family, Free Gift, who won seven races for me over fences. Free Gift’s half brother, Bears Affair, trained by Nicky Henderson, was a top horse rated as high as 152, a winner of nine races and was particularly fond of Aintree. I am hoping this one will follow in their footsteps. Our gelding has been pre-trained by Denis Leahy since February and has done well and Denis is sure he will make a racehorse. He has taken well to the training regime and done everything expected of him and towards the end of May 2018 will be turned out in the paddocks for the summer. 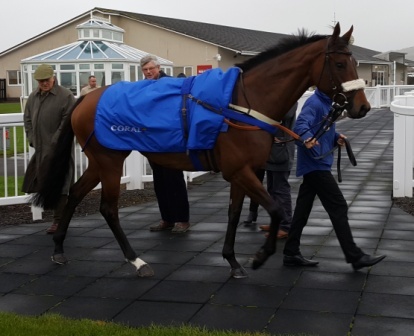 I think he is the type of horse that will really suit Colin Tizzard’s training regime and Colin is very much looking forward to training him. Please note this photograph was taken during July 2017 before he had started his pre-training.